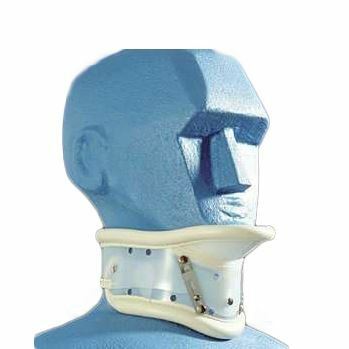 The exo-static collar provides cervical stabilization from neutral to full positions. Its automatic adjustment feature uses a hinge and bias slot arrangement to allow it to become wider under the occiput when the collar is lowered under the chin. Two-piece construction makes the collar height adjustable from 3'' to 4.5''. Air holes for ventilation. Easy fit and adjustment is made possible by the Velcro® style hook and loop fastener. Polyethylene with vinyl covered foam padding. Contoured padded edge to prevent chafing. 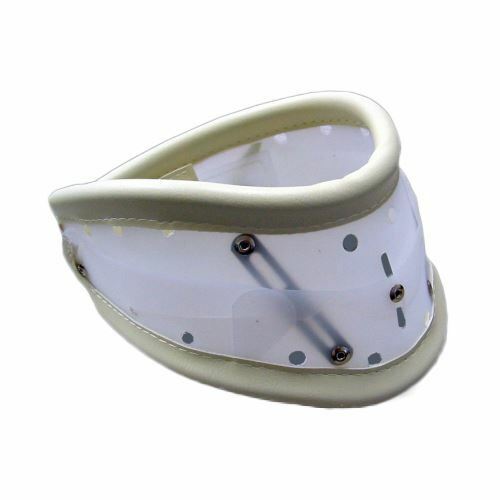 Chin piece model has padded chin piece to provide positive positioning.